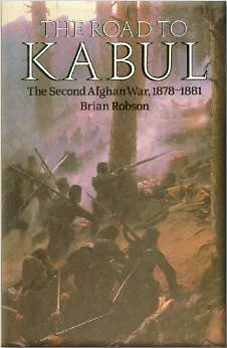 The Second Afghan War often seems to slip behind the more famous First Aghan War in terms of historical coverage. This book is a welcome counterbalance that helps to bring the Second Afghan War to at least some sort of parity with its earlier sibling. Fortunately, this book tends to shy away from the more obvious parallels between the two campaigns that many authors insist on making. Here, Brian Robson rightfully analyses the campaign on its merits; looking at the causes and consequences but concentrating on the day to day running and course of the campaign. He manages to explain the complicated and internicine intricacies of Afghan politics rather well - being as sympathetic to the coverage of these adversaries as it is possible to be with the limited sources available. His coverage of the British shennanigans is equally well represented. The arrogance of Lord Lytton and his cronies at Simla led only too naturally to the disaster that befell Lord Cavagniari in Kabul. It was only the professionalism of the Army that saved the whole situation from complete disaster. Indeed, it is interesting that the superior organisation of the British is often credited with the victory and yet it was a lack of organisation that was so nearly its undoing: Keeping the whole army in supply was a constant irritation that stretched the limits of the resources available to their extremes. Thousands of mules, horses and camels died being overburdened and forced to march through some of the most inhospitable places on earth at both extremes of the thermometre and through hostile territory. It is amazing that the British did not suffer further disasters than those that they already encountered. Brian Robson manages to show us that this particular brand of arrogance was more often than not a benefit to the British rather than any kind of hindrance. If they had sat down and really analysed what they were capable of, then the relief columns would never have set off at all. Their arrogance allowed them the luxury of committing difficult feats and having to just deal with the problems as they occurred. One aspect of the book that I particularly enjoyed was the discussion and coverage of the minor skirmishes that happened on the peripherary of the large armies and columns. The big battles are all covered in excellent detail, but it is the little run-ins and problems that help to bring to life the frustrations and difficulties of this particular campaign. It is also good that Brian Robson discusses the barbaric instances of hanging that the British inflicted on many Afghans who happened to be in the wrong place at the wrong time. Lord Roberts rightfully got into a lot of trouble over these methods and it was probably these instances (more than the humbling of the British by the death of Cavagniarin in Kabul) that helped to lead to the defeat of Disraeli and the Conservatives at the election in 1880. You can almost feel the opposing Victorian attitudes in conflict - high minded morals versus ruthless efficiency. In this particular instance the high minded morals managed to win out with a Liberal government who appointed a new Governor General of India and General Stewart to take over the running of the campaign. This book has some interesting black and white photographs and 14 useful maps to help you track the movements of the forces during the campaigns and battles (you can never have too many maps!). There really are very few problems with this book. It is informative, well organised and written in a highly engaging manner. For anyone interested in this particular campaign then I can suggest no better book than this one.